One thing is that EVERY-SINGLE-ONE-AMERICAN is celebrating Valentine's Day. Because EVERYONE has people in their lives they are thankful for. AND it doesn't matter if it's romantic love, friendship, family or appreciation. On Valentine's Day you show these people that you care about them and how special they are for you. For me as a German Valentine's Day is not a deal - even though I love the idea of it. And I love sending notes to my friends. But honestly all these red, pink, romantic and heart decorations EVERYWHERE and tacky overloaded kitsch cards & presents are A LITTLE much for me. 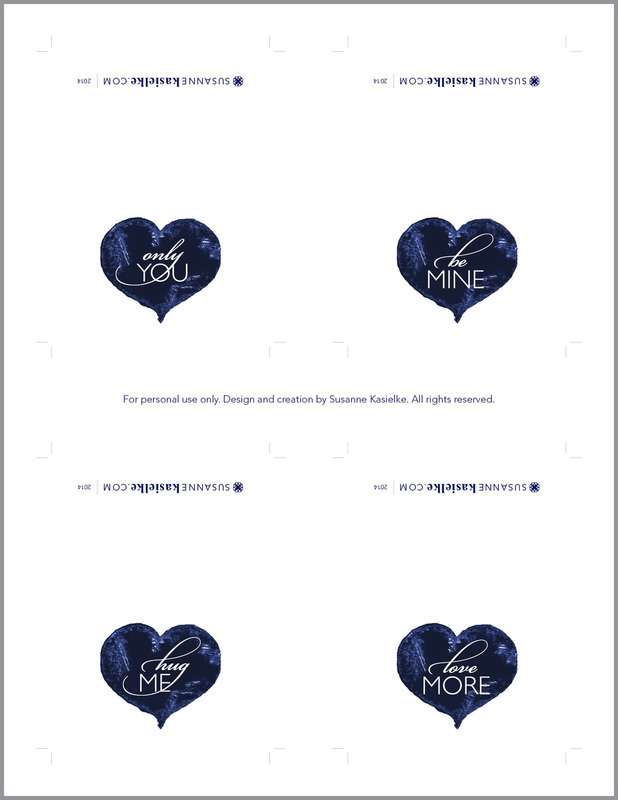 It's pretty simple: print it, cut it, fold it & fill it with love! You can print the cards on your home printer or you can go to a copy shop - That's what I did (I wanted some heavier paper that I didn't have a home). For my cards I used this 100 lb paper, but I think 80 lb paper would have worked very well, too. I would love to know which one you used and which one you like best! The cards are for personal use only. Design and creation by Susanne Kasielke. All rights reserved.